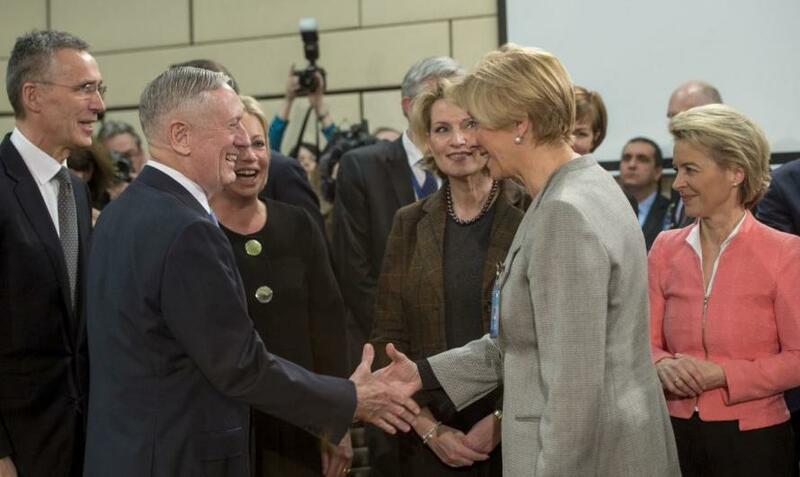 The NATO defense chiefs’ meeting on February 14-15 was mainly devoted to sharing the defense burden and other issues routinely discussed at any event. As usual, there were turgid speeches with opaque meaning to leave one guessing what’s really behind those nice words. In fact, the alliance took two far-reaching decisions proving a clue to its plans for near future. The ministers said yes to the creation of military Schengen to ease forces movements across the Old Continent. NATO is to do away with the cumbersome and lingering bureaucratic procedures hindering transportation of troops and hardware through territories of member states. One of the solutions is a standardized form used by European allies and partner states for granting permission for movements. Germany has offered to host the command center to implement the concept of free transit zone in view of its vast experience in providing logistical support. It’s not red tape only. One thing leads to another. The military Schengen will inevitably result in additional expenditure to adapt the civilian infrastructure to military needs, upgrading roads, tunnels and bridges to enable hardware movements and heavy aircraft landings. The decision is taken amid burgeoning preparations to boost military infrastructure near Russia’s borders. The fact that by signing the 1997 NATO-Russia Founding Act the bloc pledged not to deploy “substantial” ground forces on permanent basis close to Russia appears to be ignored and forgotten. With the document no longer valid, the bilateral military relationship will be deprived of any legal basis. To augment the forces in East Europe, the Black Sea, the Baltics and the Scandinavian Peninsula the bloc needs new logistic hubs. Unobstructed large-scale transport movements become top priority for implementation of the war plans, such as concentrating combat-ready stocks for a full US brigade in Poland. So, the alliance is clearing the obstacles that hinder its ability to rapidly boost forward presence and concentrate forces for an attack. The ministers announced another important decision using euphemisms to obfuscate the essence. NATO agreed to launch an assist and train mission in Iraq, “establishing specialist military academies and schools.” According to Secretary General Jens Stoltenberg, the alliance’s priorities “in the South” include improving “the ability to react to future crises in the region, including with enhanced planning and exercise.” So, it’s not a pure training mission but rather a commitment to join the US campaign aimed at rolling back the Iran’s influence. The US cuts its forces in Iraq moving them to Afghanistan, where the situation is getting worse, and NATO is right here to fill the gap under the pretext of training and increased military aid. With military presence, which goes hand in hand with training missions, the alliance is on its way to prevent Iraq from falling into the Iran’s orbit and also reduce Russia’s influence in that country. Iraq is too important to be anything but pro-Western. NATO is also lending the US a helping hand in Syria, the country viewed by Washington as a battlefield in the campaign to roll back Iran. French President Macron has just threatened to strike Syria if the information about the use of chemical weapons by its government is confirmed. The US has made it clear that it has no plans to leave or even reduce its presence in Syria after the defeat of the Islamic State. It will stay indefinitely. The purpose is to counter the threat from Iran. America has quietly launched a nation-building process in the Syrian territories under its control. The ministers’ meeting of the multinational organization has expressed its readiness to dance to the US tune, confirming its commitment to raise defense expenditure up to 2% of GDP, spur military build-up in Europe, including the creation of two more commands, and join the US in its anti-Iran campaign in an attempt to remake the world in its own image. So, we have the same old song and dance with the alliance remaining in full saber-rattling mode.